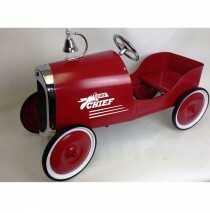 When you buy a Pedal Car or Pedal Plane at Best Price Toys, you are not only buying a high-performing ride on toy, you are also buying peace of mind. 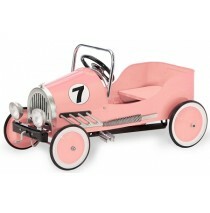 These pedal cars are perfect and affordable for young children, and will not dent your budget. 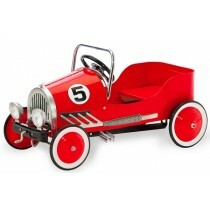 Pedal cars are available in many shapes and sizes, and you will be sure to discover the one that compliments your taste and delights your child as well. 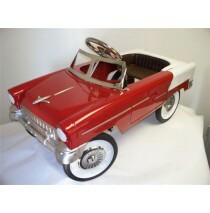 Best Price Toys is the expert on fun, and offers great items that you can afford! 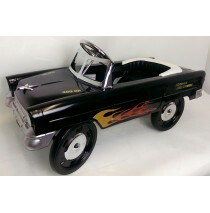 37"L x 17"W x 21 1/4"H Classic Hot Rod Styling with Chrome Bell and Fire Chief Grap..
55 Classic Convertible Pedal Car has baked enamel paint, chrome windshield, chrome steering wheel &a.. 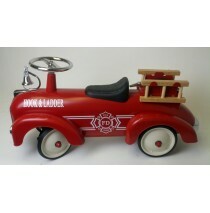 Foot to Floor Scoot-A-Long Fire Truck Product Specifications: 30"L x 10"W x 14".. 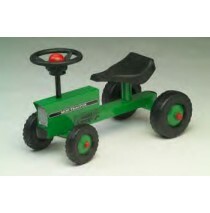 The foot to floor Pedal free Mini Tractor is the ride on toy that looks like a tractor you would see.. 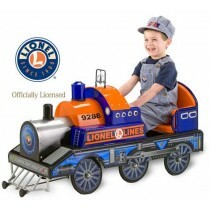 Your lilâ€™ train engineer will love this new locomotive pedal car. Features adjustable length pedal.. 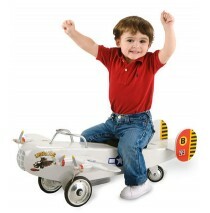 Plane also features padded seat, wing struts, and custom decals. Adult supervision required. BiPl.. 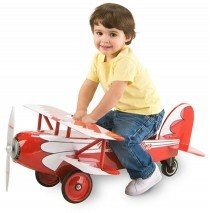 Plane Specifications Dimensions: Length 31â€ X Width 24â€ X Height 12â€ Product weight 14.. 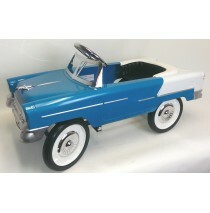 In this Disposable Age of plastics and trends, Morgan Cycle brings to you classic ride-on toys desig..